Surgery is the oldest form of treatment for cancer. It also has an important role in diagnosing and staging (finding the extent) of cancer. Advances in surgical techniques have allowed surgeons to successfully operate on a growing number of patients. Today, less invasive operations are often done to remove tumors and to try to preserve as much normal oral cavity structure and function as possible. Surgery offers the greatest chance for cure for many types of cancer, especially those that have not yet spread to other parts of the body. When the disease is localized, a surgical procedure may be able to remove the cancer in its entirety. Most people with cancer will have some type of surgery. Preventive (or prophylactic) surgery is done to remove body tissue that is not malignant but is likely to become malignant. For example, this type of surgery may be used if you have a precancerous condition such as polyps in the colon. Sometimes preventive surgery is used to remove an entire organ when a person has an inherited condition that makes development of a cancer likely. Diagnostic surgery is used to get a tissue sample to identify your specific cancer and make a diagnosis. The diagnosis of cancer often can be confirmed only by looking at the cells under a microscope. Several surgical techniques can be used to obtain a sample. These are surgical biopsies. 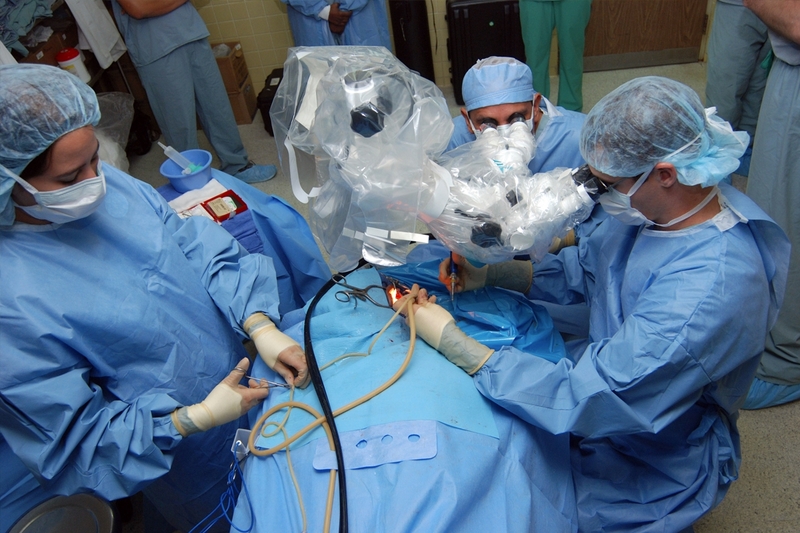 Staging surgery helps determine the extent and the amount of disease. While your physical exam and the results of lab and imaging tests can help determine the clinical stage of your cancer, surgical staging is usually a more accurate assessment of how far the cancer has spread. For more information, please see our document on Staging. Curative surgery is the removal of a tumor when it appears to be confined to one area. It is done when there is hope of taking out all of the cancerous tissue. Curative surgery is thought of as a primary treatment of the cancer. It may be used along with chemotherapy or radiation therapy, which can be given before or after the operation. In some cases, radiation therapy is actually used during an operation (intraoperative radiation therapy). Debulking (or cytoreductive) surgery is done in some cases when removing a tumor entirely would cause too much damage to an organ or surrounding areas. In these cases, the doctor may remove as much of the tumor as possible and then try to treat what’s left with radiation therapy or chemotherapy. Palliative surgery is used to treat complications of advanced disease. It is not intended to cure the cancer. It can also be used to correct a problem that is causing discomfort or disability. This may require surgery for effective relief. Palliative surgery may also be used to treat pain when it is hard to control by other means. Supportive surgery is used to help with other types of treatment. For example, a vascular access device such as a catheter port can be placed into a vein to help deliver chemotherapy treatments reducing the number of needle sticks needed. Restorative (or reconstructive) surgery is used to restore a person’s appearance or the function of an organ or body part after primary surgery. Examples include the use of tissue flaps, bone grafts, or prosthetic (metal or plastic) materials after surgery for oral cavity cancers.